Find hotel near Ulster Folk & Transport M ..
Cultra Manor was once the residence of Thomas Andrew, the man who designed the Titanic. The stunning manor houses popular Titanic exhibits featuring drawings by Thomas Andrew as well. Today the manor is used as a wedding or event venue. The manor is also home to the Ulster Folk and Transport Museum. The folk museum has cottages, farms, schools, shops and traditional crafts on display while the transport museum displays electric trams, motorbikes, fire-engines, vintage cars and horse carriages. Check the official website for additional details on timings bookings and prices. 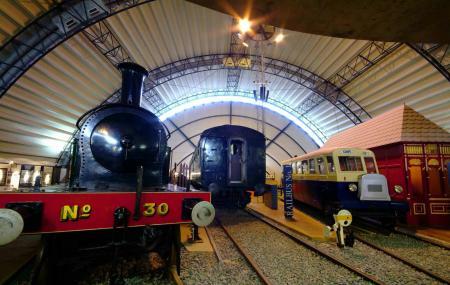 How popular is Ulster Folk & Transport Museum? People normally club together Mount Stewart and Lemons Wharf while planning their visit to Ulster Folk & Transport Museum. Tim Peakes space ship etc was amazing. The whole museum was brilliant especially the man who weaves the reeds into a throne for Game of Thrones and his Dragon was out of this world. Well worth the entrance fee to see his work alone. Such a gifted man. Wow will be back in a couple of weeks again. Much larger than I thought, it takes quite. A while to get around and look at everything. There are many more buildings outside the 'village' area which arn't readily visible. As it was Easter there were lots of events and shows included in the admission and free bread and jam and other stuff. Staff were very helpful and knowledgeable. Just make sure you leave enough time do see everything as the transport museum is at least an hour. A nice full day out. Nice place to walk around and some interesting bits but we visited on a Wednesday in April and most of the buildings were closed. I would recommend visiting at the weekend or in summer when hopefully more will be open and more people with be on hand to explain things. Spent some totally interesting hours wandering around the historical buildings. What a superb place, excellent for really appreciating Ulster's history. Definitely a must-see attraction. Great day out for adults and children alike. Great value. On some occasions ( bank holidays etc) there are people dressed up and making potato bread and stew to let you sample.